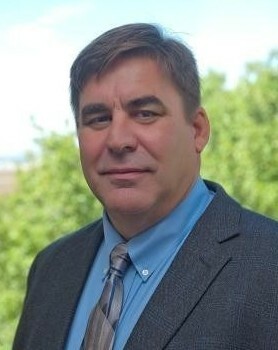 British Columbia – Tuesday, 2nd, July 2013 – THEMAC Resources Group Limited (TSXV:MAC) (“THEMAC” or the “Company”) today announced that Jeffrey Smith has been appointed as Chief Operating Officer, effective the 24th June, 2013. Jeffrey Smith has 35 years experience within the mining industry and has managed large, complex mining operations and construction projects. Jeff has held engineering, operating and maintenance, general management, and executive management positions with Echo Bay Mines, Coeur d’Alene Mines and Pan American Silver, which provides him with planning, contractual, financial, regulatory, and leadership experience. Jeff’s professional history includes three years with Quintana Minerals Corporation where he was the mine engineer at the original Copper Flat Mine, and assisted with its construction, operation and closure. Jeffrey Smith earned a Bachelor’s Degree in Mining Engineering from the University of Arizona College of Mines and a Master’s Degree in Management from the Stanford University Graduate School of Business. He is a licensed Professional Engineer, a registered member of the Society for Mining, Metallurgy and Exploration (SME), and a Qualified Person under Canadian NI43-101 rules. In connection with the appointment, the Company granted to Jeffrey Smith options to purchase 1,653,254 common shares of the Company, exercisable at $0.10 per share, pursuant to the Company’s stock option plan. Further to the news release on June 13, 2013, THEMAC has completed share issuances under the previously announced shares-for-debt agreements. 1,182,500 common shares have been issued to three directors to settle $118,250 in aggregate debt. The shares issued are subject to a four-month hold period. reclamation practices for our unique environment. The Company is listed on the TSX Venture Exchange (ticker: MAC) and has issued share capital of 75,300,122 common shares (fully diluted share capital 133,330,134).